The film, which premieres March 23, depicts the persecution of the early Christians in Rome under Emperor Nero, along with an imprisoned Saint Paul conveying a message of hope at the end of his life. “But it’s often through our struggles, our trials, our tragedies that triumph comes,” the Catholic actor said. Caviezel plays the role of Saint Luke, who regularly visits Paul in prison to document his story while composing the Acts of the Apostles. The audience sees Luke serving the early Christian community in Rome as a physician, spiritual leader and writer. “Well I’m happy to admit that Jim is a much more devout Christian than am I, and I drew from his faith whenever possible,” said Faulkner, who was raised in the Church of England. Faulkner told CNA that playing Paul changed him as he “read and reread Paul’s letters” in preparation for the role. “Do I have more humility? Yes. Do I have more love for my fellow man? Yes. Is there a possibility of redemption even for myself? Yes, there is,” reflected Faulkner. Behind the scenes, “Paul, the Apostle of Christ” felt different than his previous experience on the set of “Game of Thrones,” Faulkner said. Conversion and forgiveness are major themes of “Paul, the Apostle of Christ,” Caviezel said. “The greatest controversy of this film is forgiving at all costs, and that doesn’t mean weakness or the acceptance of evil. It means meeting evil face-to-face … that’s the hardest thing,” he said. The film is dedicated to the world’s persecuted Christians. “We were writing this script through those heavy intense times with ISIS and the problems that are going on in Syria and the Middle East,” executive producer Eric Groth told CNA. He said his team also reflected “on the martyrs of the centuries who have laid down their lives” in guiding the actors of the film. 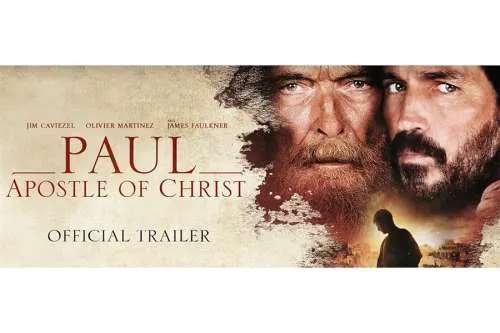 “Paul, the Apostle of Christ” was written and directed by Andrew Hyatt, who previously directed the film, “Full of Grace,” about the Virgin Mary’s last days on earth. Both films were produced by the Catholic group ODB Films, in partnership with Sony Pictures Entertainment. Groth told CNA he hopes that Catholics will reach out and invite friends to the film who are not familiar with the Biblical story. Chicago, Ill., Jul 18, 2018 / 03:21 am (CNA).- A five-day training session in the Archdiocese of Chicago last week gathered leaders from across the country to learn about starting an immigrant-led service ministry in their dioceses. He had previously explained, in a March letter to members of Congress, how the House bill was problematic for vulnerable populations such as the poor, the seriously ill, and the elderly. 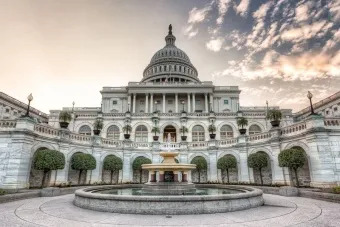 After the House narrowly voted May 2 to pass its own version of a health care reform bill, the US bishops wrote to Senators urging them to reject the “grave deficiencies” of the American Health Care Act. The bishops had asked the Senate to reject major changes to Medicaid, to retain protections for human life, to increase tax assistance for those with low-income and the elderly, to retain a cap on health care plan costs for the elderly, to protect immigrants, and to add health care protections. Senate Republicans released the draft version of their bill after weeks of anticipation and controversy that the draft was being worked on behind closed doors. The bill would repeal much of the Affordable Care Act. A major sticking point for pro-life groups and the U.S. bishops was Hyde Amendment-language protecting taxpayer subsidies from being used to pay for abortions. However, pro-life leaders are concerned – or are even certain – that the pro-life language will be removed by the Senate Parliamentarian before the bill reaches the Senate floor. This could happen because the language might be determined to be not pertaining to the rules of budget reconciliation. Since the bill may be passed through the budget reconciliation process – thus requiring a simple majority vote, rather than the normal 60 votes needed to bring it to the floor for a vote – its measures would need to be ruled as pertaining to the budget. Senate Republicans can also afford no more than two members of their party voting against the bill, as no Democrats are expected to support it. Several moderate Republicans in the chamber have voiced concern about the bill, and four conservatives have said the draft does not go far enough in repealing the Affordable Care Act. The draft also strips Planned Parenthood of taxpayer funding and redirects that funding to community health centers which do not provide abortions. The Washington Examiner reported Wednesday that Sens. Susan Collins (R-Maine) and Thom Tillis (R-N.C.) both admitted that the Senate Parliamentarian would not approve of the pro-life language being used in a bill passed by reconciliation. “If this happens, one of the most egregious aspects of Obamacare – tax credits for plans covering abortion – will continue under this Administration and Congress,” Mancini continued. Pro-life groups have insisted that the Affordable Care Act ushered in a massive expansion of abortion funding through tax credits paying for abortions and federally-subsidized plans offering abortion coverage, without sufficient guarantees that the subsidies were not being used themselves to pay for the abortion coverage. While President Obama issued an executive order forbidding taxpayer dollars from funding abortions under the health care law, many – including then-president of the U.S. bishops, the late Cardinal Francis George of Chicago – insisted that would not offer sufficient guarantee against taxpayer dollars funding abortions. A 2014 GAO report found that in five states, all the taxpayer-subsidized plans offered on the health exchanges covered abortions, thus leaving no choices for those who wanted a health plan on the exchanges which did not include abortion coverage. Furthermore, the report found that 15 insurance issuers and one state exchange were not billing abortion coverage separately from other coverage in federally-subsidized plans, thus leaving open the possibility that federal dollars were going to fund abortion coverage. “The expectations of the pro-life movement have been very clear: The health care bill must not indefinitely subsidize abortion and must re-direct abortion giant Planned Parenthood’s taxpayer funding to community health centers,” Susan B. Anthony List president Marjorie Dannenfelser and Family Research Council president Tony Perkins said in a joint statement released Friday. “The Senate discussion draft includes these pro-life priorities, but we remain very concerned that either of these priorities could be removed from the bill for procedural or political reasons,” they added. Moreover, there are other serious problems with the Senate draft legislation that carry over from the House bill, he maintained. Changes to Medicaid could cut vital coverage for low-income families; conscience protections for everyone in the health care system are lacking; and access for immigrants to health care would not be furthered, he said, which the bishops pointed out as one of the problems in the Affordable Care Act when it was passed in 2010. The “per-capita cap” on Medicaid dollars to states would limit Medicaid funding based on the populations of the states themselves, “and then connects yearly increases to formulas that would provide even less to those in need than the House bill,” the bishop stated. “These changes will wreak havoc on low-income families and struggling communities, and must not be supported,” he stated. The bill would phase out the expansion of Medicaid more gradually than did the House’s version, but the program would see larger cuts in the long run under the Senate’s plan. Bread for the World, a social welfare organization of Christians that advocates for the ending of hunger the US and abroad, was also critical of the Senate bill’s changes to Medicaid, saying it will increase hunger and poverty domestically. Bishop Dewane also said the bill “fails, as well, to put in place conscience protections for all those involved in the health care system, protections which are needed more than ever in our country’s health policy,” he stated. For instance, the bill could set up conscience protections for religious organizations that refuse to comply with previous mandates that coverage for sterilizations and contraceptives be provided in their employee health plans, the bishop noted. Or doctors who conscientiously refuse to perform abortions or gender-transition procedures could be protected against federal or state mandates that they do so. “The Senate should now act to make changes to the draft that will protect those persons on the peripheries of our health care system,” Bishop Dewane stated.